The God father is an blockbuster American movie in the seventies, almost every one knows that. But not everyone knows that the God father plot is derived from Italian’s sociocultural history. And this same story line is re-enacted in several other Italian movies over the decade. Austin Fisher is a Principal Academic lecturer at Bournemouth University. He is the author of Blood in the streets, a book that investigates the various ways in which Italian films in the seventies were embed in the Italian cultural and political contexts. Austin Fisher further revealed that his book also analyses the emergence, proliferation and distribution of popular film cycles geared around rapid production schedules. “The emergence, proliferation and distribution of popular film circles with industrial conditions geared around rapid production schedules, concentrated release patterns with the contemporary political turmoil of the 1970s Italy and the trauma of the nation’s past”. 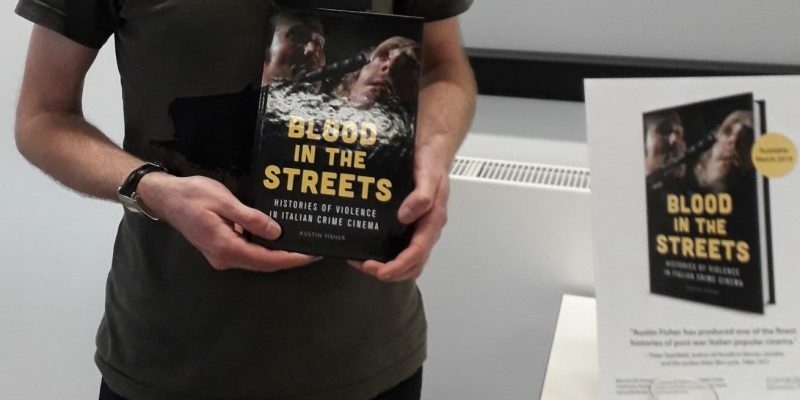 The 250-page book Blood in the streets was published by the Edinburg University Press and launched at Bournemouth University.